Every year when the school year draws to a close I breathe a sigh of relief. “Yay!” No more carpooling, no more waking up early to get kids off, no more volunteering or homework…at least for 3 months. Then summer hits, and I wonder what I was thinking. The kids are bored, the kids are fighting, the kids want to play with friends and watch tv 24/7. By the end of summer, I’m exhausted, grumpy, and SO ready for school to start. Why? Because school forces us to have consistent routines and makes life run a little smoother. I also get so much more done because my kids ARE AT SCHOOL. But summer should be a time for fun and joy for the whole family. 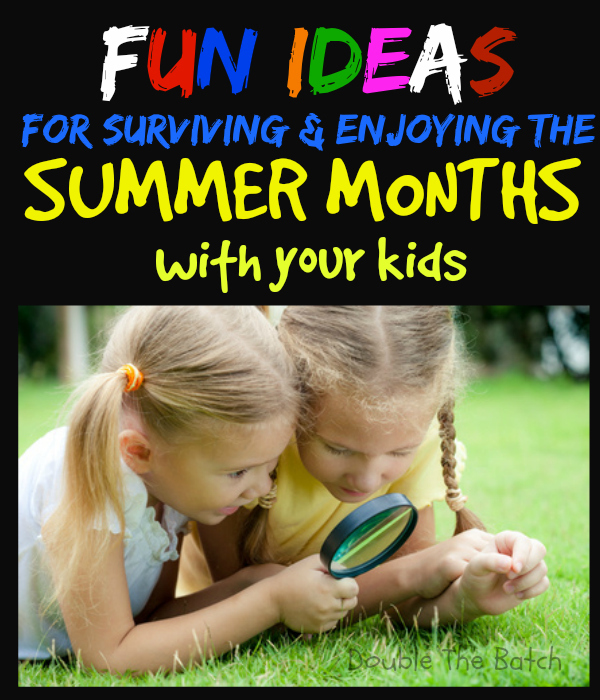 Here are some tips I have found for surviving and (and enjoying) the summer months with kids! Set up ROUTINES. A routine is just something that you do consistently every day (usually at the same time). Kids are used to having routines at school. Routines are a GOOD THING. They give kids security and help to keep the chaos at bay. Free time is also a good thing, but I have found that if my kids have too much of it they get bored and start whining or getting into trouble. If you are consistent and follow the same routines at the same time each day, eventually your kids will have it memorized and they will be reminding YOU what comes next. Lunch (sometimes we take a picnic to the park with us). Summer is also a great time to squeeze in new chores. There’s not a whole lot of time for them to do a lot of chores during the school year. By the time they get home from school and get their homework done, it’s time for dinner and bed. Now is the time to teach them new skills and responsibilities. 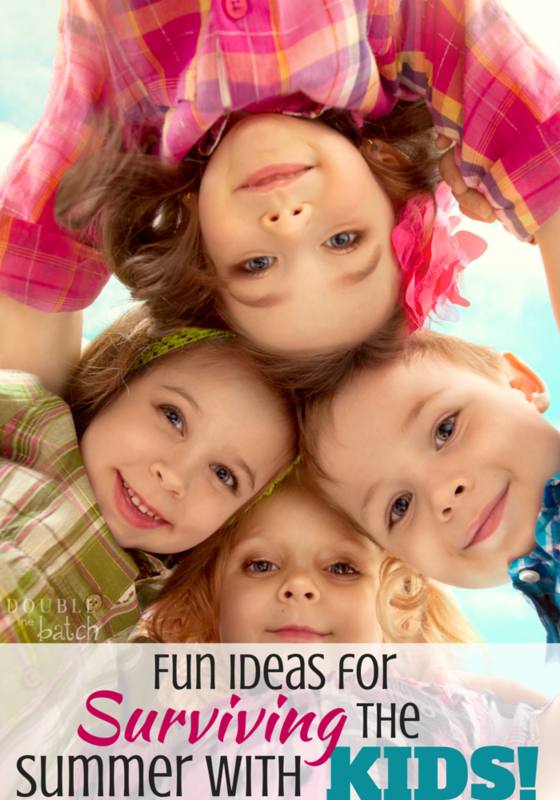 Give age appropriate chores that have to be done each day to earn fun time. I like to do chores after dinner so that we wake up to a clean house and can dive right into our fun day. If my kids are motivated and get their chores done by 7:00, I usually let them watch 20 minutes of tv at night before stories and bed. Awards are great to motivate kids for the ‘not so fun’ chores that need to be done. Or they can earn points for extra screen or friend time. That’s a whole other subject for another post. Have fun his summer! Before you know it, another school year will begin. Enjoy the precious time you have with your kids. They grow up so quickly!